Hello and welcome to MCT's Thoughtful Thursday! 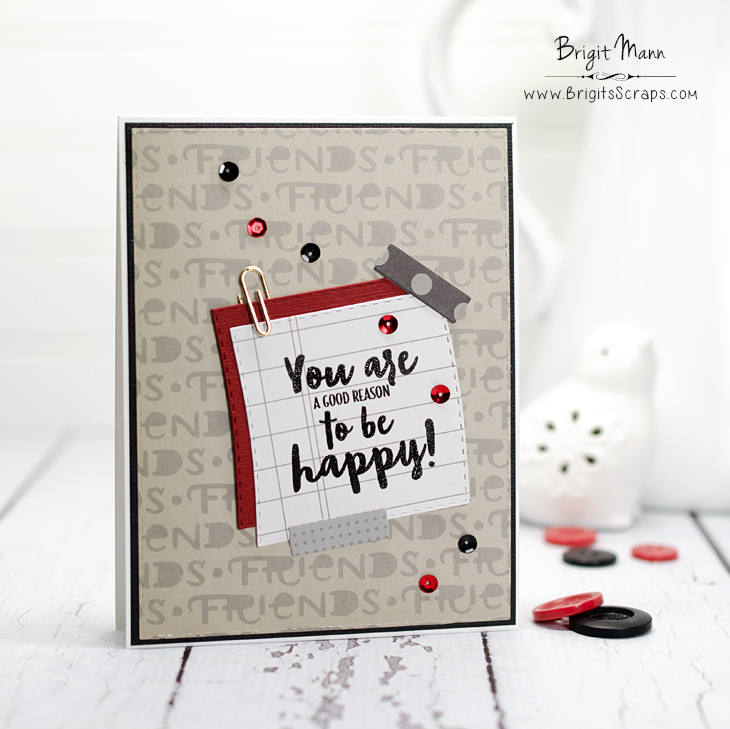 I made a super simple card today using the Be Awesome Stamps and Dies. The sentiments in this set are so uplifting and I really love the dies, definitely becoming one of my go too sets when I have to make a quick card for someone. I also used the Stitched Rectangular Frames & More and More Stitched Rectangular dies. The friends paper is from a paper pack from Michaels. WHat a Beautifuland super sweet card!! LOve the creative ways you've used Miss Emma's goodies!! That Friends paper is awesome...what a find!! Great Creative Job!! YOU ROCK!! What a sweet and happy card! Love it! Great papers too! Cute pattern paper and a pretty uplifting card! Great job.